I really think it is great when companies take the initiative to make things out recycled materials. Especially when they are using it to make eco-friendly toys! Green Toys makes all of their toys from recycled plastic milk jugs and they are all made in the USA. In addition to the fact that they use recycled plastic, their packaging is made from recycled cardboard and is 100% recyclable itself. No cellophane or annoying little twist-ties. Just the bare minimum so there is less waste and the toys are easy to remove. All of their toys are also free of BPA and phthalates. 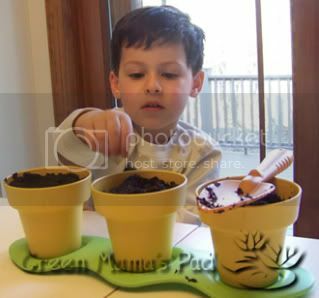 In honor of Earth Day, Green Toys sent me their Indoor Gardening Kit to try out. William was very excited! He's been intently looking at my veggie seedlings for a few weeks now so he was very happy to get his own seeds to plant. 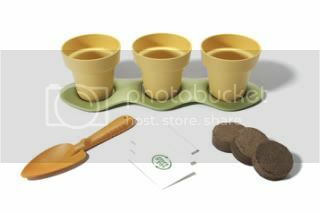 This kit comes with everything you need to plant your seeds: 3 pots, tray, shovel, soil and organic seeds. The seeds are Basil, Sunflower and Zinia and they give you more than enough in the packets. The soild come sin dehyrdated "bricks" that you simply add water to and then atch them exand. We planted our seeds on April 17 and today, 6 days later, we alrady have some sprouts poking through the soil. In addition to the gardening kit, they also have trucks, a tool set, a tea set and more. I particuarly like the Recycling Truck and the Cooware & Dining Set. One winner will receive their Indoor Gardening Kit from Green Toys. Go to the Green Toys site and look around. Come back and tell me something you learned that I did not mention here plus a toy that you think looks cool. Remember this is mandatory and you must complete this before submitting additional entries. 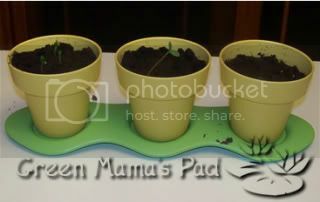 - Blog about this giveaway with a link to Green Mama's Pad and Green Toys. Please leave link in comment. - Visit Matthew's Puzzle and enter one of the Autism Awareness Month giveaways. Then come back and tell me which one you entered. This giveaway is open to US Residents 18+ only and will end on Friday, May 8th at 11:59pm EST. One winner will be chosen at random using Random.org. Winner has 48 hours to claim their prize otherwise a new winner will be picked. You must leave your e-mail address in your comment(s) so I can contact you. I will not share your e-mail address with anyone, it will strictly be used to notify you if you win. Good luck! & we like both the dump truck & tool set best! I learned that the raw materials and toys aren't shipped from overseas, which saves a lot of energy and reduces greenhouse gasses. I also love the cookware and dining set. I entered the Flannel/Felt Story Board Giveaway. Oh that's easy! I absolutely, positively, want THIS for my son! The cooking set. He would LOVE it! Also, from what I understand, the company was founded by Laurie Hyman and Robert von Goeben. I love all their toys!! I want them all, hehe:) One thing that I did learn from the website is that not only are the toys made in the USA, but they are specifically made in the state of California. Which is wonderful to hear since that state is known to have strict toy safety and environmental laws. raw materials and toys aren't shipped from overseas, which saves a lot of energy and reduces greenhouse gasses. I've seen these toys on Target.com. I love that people don't have to go to a speceilty store to buy safer toys. I'm thinking about getting the Sand Play set for my nephew because he practically lives at the beach during the summer! The toys, including the precious tea set, are made in the USA. The toys are free of lead paint. The Tool Set looks very nice. Thanks for the giveaway. I learned that all Green Toys products are packaged in recycled corrugated boxes with no plastics, cellophane or twist-ties, and are 100% recyclable. I love that dump truck! I learned that they use all local materials. I love the recycling truck! One of the owners makes a great brownie! :) These toys are super cute! I think my favorite is the dump truck followed closely by the sand toys! They have a sand and play set, but the garden prize is the one I would like to have most. I learned that they contain no traceable amounts of Phthalates or BPA. I like there tool set toy which is cute. They're made in CA, USA! I also like the dump truck! I have your Earth Day button! I have loved this company for a while now!!! I learned that on average, for every pound of recycled milk jugs used in their toys saves enough electricity to power a TV for 3 weeks. And I LOVE the new Recycling Truck toy! They won a green toy company award! The jump ropes look fun! The toys are made in the USA and I like the jump rope. their stuff ISN"T shipped from overseas & i love the dump truck! I learned that some of these toys are carried at Toys R Us. My son would love the tool set. Green Toys products are tested by nationally recognized, independent, third-party labs in the USA. They contain no traceable amounts of BPA and are designed without any external coatings eliminating the fear of lead paint. I love the Cookwear and Dining Set, my girls would love this set! Thanks so much for such a wonderful giveaway! I learned that raw materials and toys aren't shipped from overseas! I love the recycling truck! I learned I can get their toys at Toys R Us. I love the cute tea set!! This sounds like a great read....romance & mystery all rolled into one. Thanks. I love the beach play set. For every pound of recycled milk jugs used it is a savings equal to 3,000 AAA batteries. I love the beach playset! And the fact that the toys are made here in the USA!! Thanks for the chance. I love the Sand Play set! My kids would have a ball with that at the beach! Made in the good ole USA!! i like the cooking set! no lead paint in the toys! i learned the toys are made only in the USA. This is a great company truly devoted to Green - a CA based company who adheres to high standards and has fun doing it! (they even won a prestigious Green Toy Company award!) I LOVE LOVE the cooking/dining set! Laurie Hyman's all-time favorite toy is Gnip, Gnop. I forgot to add to my inital comment that my girls would luv to have the Tea Set!! I like how they are made in USA! I would choose the Tool Set! I learned that every pound of recycled milk jugs that they use saves energy equal to 3000 AAA batteries. All Green Toys products are packaged in recycled corrugated boxes with no plastics, cellophane or twist-ties, and are 100% recyclable. I love this company! I entered several of the Matthew's Puzzles Autism Awareness Month giveaways, inlcuding the Sterling Silver Puzzle Piece necklace. At Green Toys, I like the Indoor Gardening Kit and the REcycling Truck best. Way back in the pre-Green Toys era, Robert was the founder of Propellerhead Studios, a leading Silicon Valley design studio specializing in electronic toys and games. At Propellerhead Studios, he worked with many major toy companies, including Mattel, Radica and Wild Planet. I can buy their products on Amazon, and the tea set looks great for the dolls' tea parties my kids love to host! I learned that they use recycled milk containers as the main ingredient in creating their toys. I really like the Recycling truck. It is different and it helps promote recycling awareness! I learned that they believe that if everyone would say please and thank you, cell phones didn't ring in movie theaters and that all toys were made from environmentally friendly materials, the world would be a better place to live. Since that's not happening they are concentrating on toys. I learned that the Cookware and Dining set was a 2008 Toy of the Year by Parenting Magazine. I think my son would also love the tool set. Every pound of recycled milk jugs saves enough electricity to power a tv set for 3 whole weeks! I love the Tea Set! All Green Toys products are packaged in recycled corrugated boxes with no plastics, cellophane or twist-ties, and are 100% recyclable. The tea set. I also love the Sand play set! And i love the fact that they use environmentally friendly packaging! I like their committment to making toys that are fun, safe, and environmentally friendly. I learned that every pound of milk jugs used in the making of Green Toys saves energy equal to 3,000 AAA batteries! I love the Sand Play Set, this would be lots of fun at the beach! no bpa, pthalates or lead! whoo-hoo! They are also designed without any external coatings, eliminating the fear of lead paint. I like the tea set. I learned that Robert holds two U.S. Patents in the field of toys and games, and plays a mean set of drums. His all-time favorite toy is Bing Bang Boing. I also love the sand play set!! I learned that they use milk jug plastic because it is the cleaner, safer plastic. I like the Tea Set! I learned that they use milk jug plastic because it is cleaner and safer plastic. I like the Sand Play set. I learned that their toys are made in the USA (in CA) so they aren't shipped from overseas saving on both energy and greenhouse gasses which is great! I love their tea set -- it's adorable! 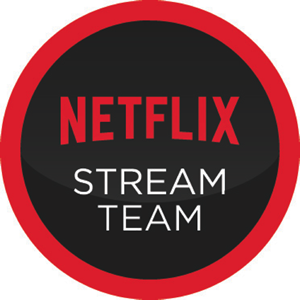 the company was founded by Laurie Hyman and Robert von Goeben. I learned that they were featured in Parenting magazine. I think the recycling truck is cool. Every pound of recycled milk jugs used in the making of Green Toys saves enough electricity to keep a laptop computer running for a month. I like the Ecosaucer! Their toys are designed without any external coatings, eliminating the fear of lead paint. I love the cute tea set! I found out that they use recycled milk containers as the main ingredient in creating their toys. I think the dump truck is beyond cool! I love the dump truck. This would be great for my grandson to play with. I love they are green products. Thanks for the great giveaway.